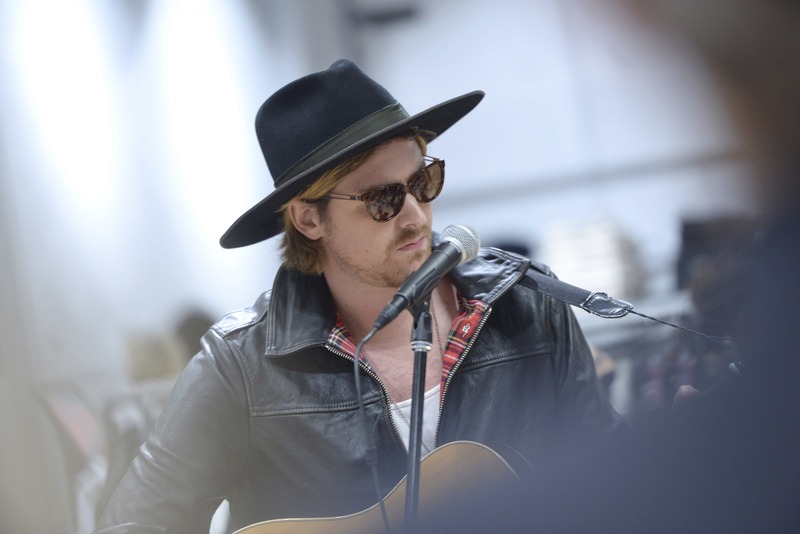 Jamie Commons performs at AllSaints South Coast Plaza Store Opening (Photo by Vivien Killilea/Getty Images for AllSaints ). 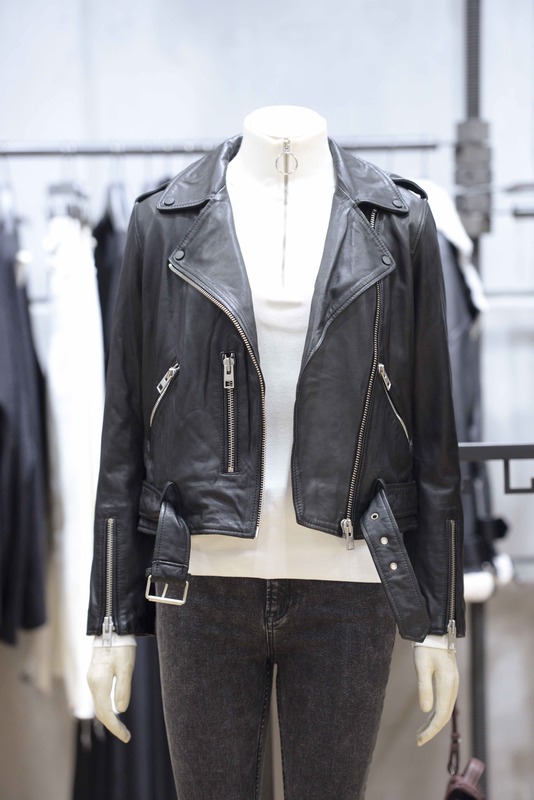 AllSaints signature moto- leather jacket. 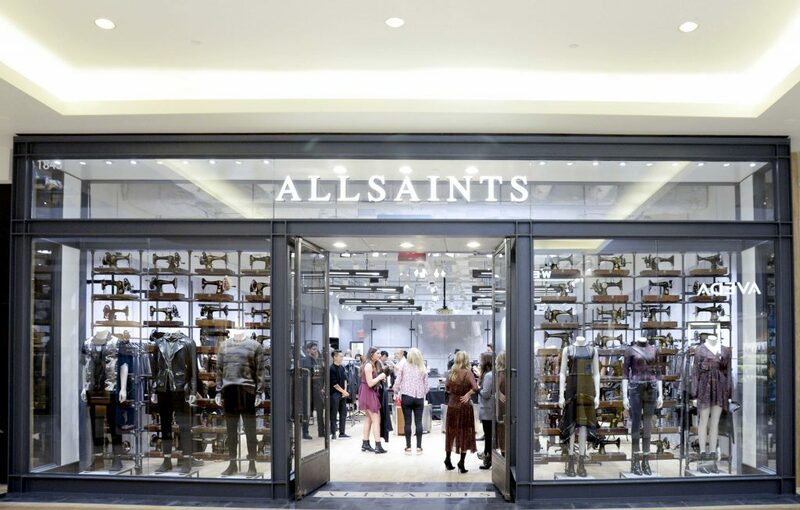 (Custom engraving of leather was available and guests were able to have their leather clothing or accessories engraved during the opening party at AllSaints). AllSaints and I go back a while. I’ve been wearing it before it arrived in OC via Bloomingdales but with the opening of its stand-alone store in the heart of South Coast Plaza last week—this East Ender and I have finally reunited. A British brand known for its attitude—it’s key pieces are buttery soft leather jackets, premium denim, cozy over-sized sweaters, easy to wear dresses and my favorite style of leggings—it’s everyone’s idea of wardrobe staples. And even-though I’ve been using the hashtag #AlwaysinAllSaints for some time, I have a feeling we’re going to be seeing a lot more of each other. Although we’re both Londoners, we couldn’t be more different. AllSaints hails from East London and I’m a West London girl that wouldn’t venture further than Victoria just in case I got lost. But this clothing label (for men and women) has the bad boy appeal of Jason Statham, David Beckham’s sense of style along with the old-school charm of Michael Caine all rolled into one. No wonder it has such a big place in my heart. It’s also a testament that opposites really do attract. I wouldn’t be exaggerating if I told you that AllSaints is my uniform of choice. I own more pairs of their Raffi leggings than I care to admit—some of them identical. But it’s not all about laziness or comfort, although the latter plays a big role in my fashion choices. With AllSaints I don’t feel I’m faking it—in fact I never feel more myself that when I’m wearing anything by the label. And whether you’re from London or not, it has an unpretentious ability to grow on you. 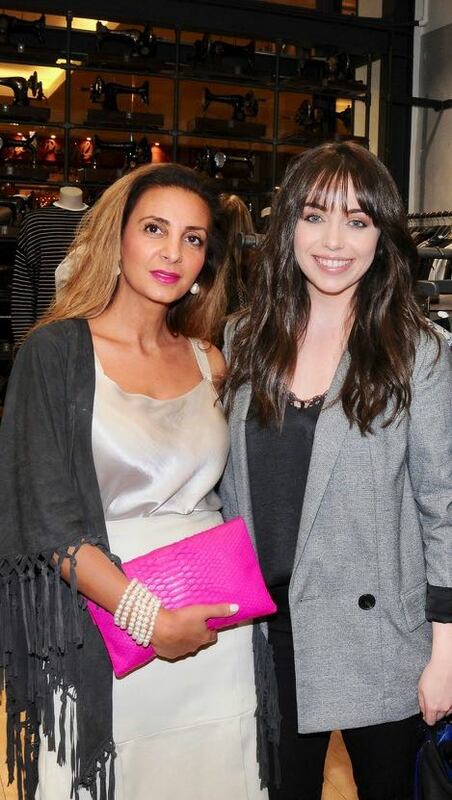 I’m with Kara Jensen PR director at the opening of AllSaints South Coast Plaza. (Photo by Vivien Killilea/Getty Images for AllSaints).